FRAMED PRINT. 22x18 inch (56x46cm) Framed Print with Black Satin with Off-White Digital Mat. 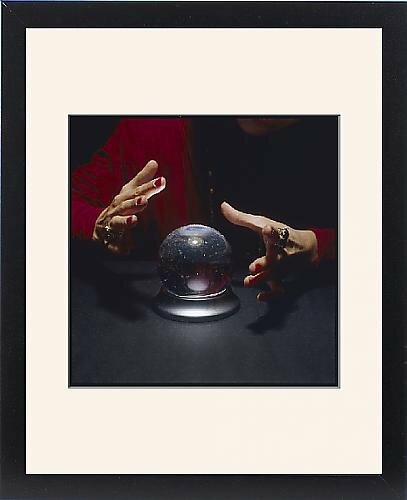 Artwork depicting THE CRYSTAL BALL. As the mists clear, the gypsy fortune teller can reveal to the client the inner mysteries of the ball, opening a gateway to the future. Professionally made to order in the USA. Artwork Description... As the mists clear, the gypsy fortune teller can reveal to the client the inner mysteries of the ball, opening a gateway to the future.